The publicist DID bring me home a present from BlogPaws! She won the most wonderful prize. I should have known she would not forget me while she was gone. There was a BRILLIANT artist there - BZTAT and she was giving away digital artwork. When the publicist won instead of picking one of the Farm cats to immortalize SHE CHOSE ME! I just love it! I wish I could hang it in my goat house but the publicist says that I would probably just eat it if she printed it off. She is probably right. I do like a nice snack. BURP. The publicist is thrilled too. She couldn't believe she had won such a wonderful prize. 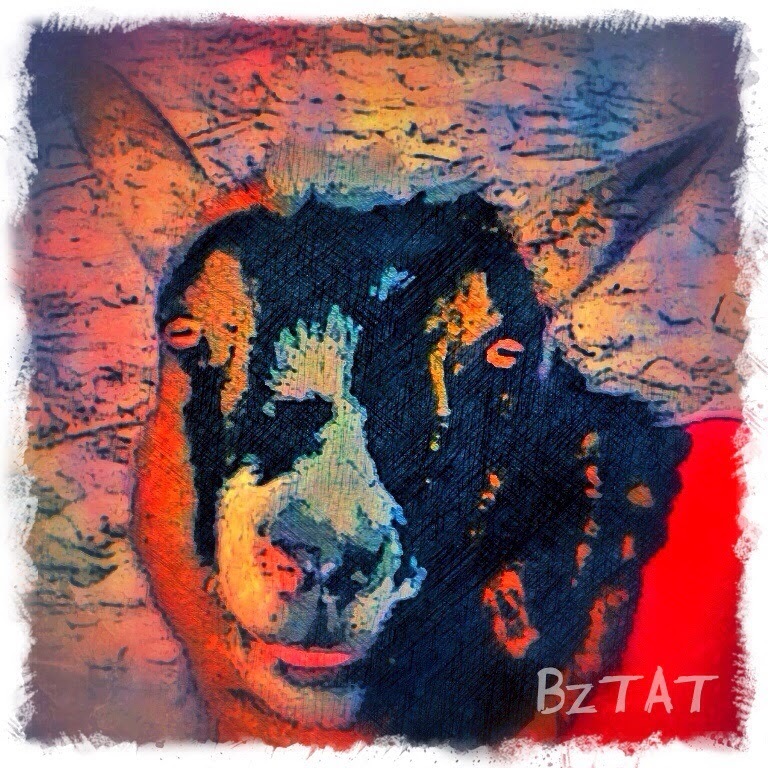 If you would like to have your pet painted by a famous artist you can contact BZTAT on her website or find her on Twitter, Pinterest or Facebook. I am now even more famous than I was before, aren't I. Thank you BZTAT for making me look so young and beautiful. I AM a Happy Goat.